Borax is a naturally occurring substance also known as sodium borate. It contains oxygen, water, sodium, and boran, and is usually found embedded deep in the earth. Although borax is primarily used to remove stains and boost the power of commercial laundry detergents, you can also use it to create children's toys, to clean and disinfect your home, and to eliminate ants from your property. 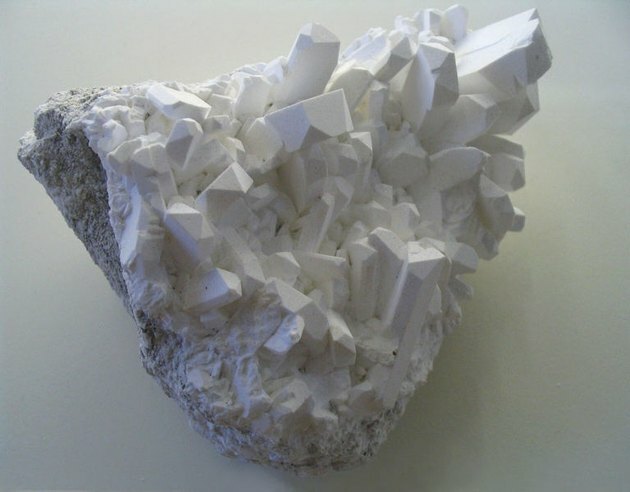 Borax is a naturally occuring substance that has many uses around the home. Borax can be used as a homemade version of the popular toy Silly Putty. The borax putty will bounce like a ball and pick up newspaper images. This borax putty can also be used to make a stress ball, a device you can hold in your hand and squeeze repeatedly to promote relaxation and regain energy. Begin by mixing ½ cup of Elmer's glue with ½ cup water. You can add three drops of food coloring if you want. Next, mix ½ cup of water with 2 tbsp. of borax in a separate container. Add the borax solution to the glue mixture and stir. Roll the mixture into a ball and store in a plastic bag or airtight container. Borax can be used to make this all-purpose cleaner that you can use to clean such household areas as countertops, refrigerator doors, and tabletops. Mix ½ cup of borax with ¼ cup of baking soda and ½ cup of vinegar. Add the mixture to one gallon of water. You can make a borax disinfectant by combining ¼ cup of borax and ½ gallon of hot water. You can stir 2 tbsp. of borax into 3 cups of water to make window cleaner. Pour the mixture into a spray bottle and apply to windows. Use newspaper to dry the windows so they will not streak. You can make an effective ant poison with borax. You will need 2 tbsp. of borax, 2 cups of sugar, and 1 cup of water. Put all the ingredients into a pot and boil the mixture for three minutes. Allow the mixture to cool and pour small amounts into small dishes, jars, or bottle tops, and place them both inside and outside your house where you have an ant infestation. The ants are drawn to the sticky paste and will eat it themselves and bring it back to their nests, where the mixture will eventually kill them all. What Pests Does Borax Eradicate?